This departure from support for Israel’s democratically elected government is not a glitch in policy, but a wake up call for all of us: AIPAC may be a powerful voice on the Hill but it is not one that consistently can be relied on to reflect the wishes of the people of Israel. PM Netanyahu is the longest-serving leader in our history, with record-breaking support in elections here. We applaud those who support Israel. We are grateful to those who speak out against bias, mistruths and distorted reports. We have enough detractors in this world that we know to appreciate those who stand up for what’s right. This should not be confused with blanket support for positions taken by AIPAC, a leading US voice for Israel. The organization that was slow to take up the Iran case, ignored the push for recognition of Jerusalem and now calls for peace plans that contradict the Israeli government – must be careful when it poses as the pro-Israel voice in the US. 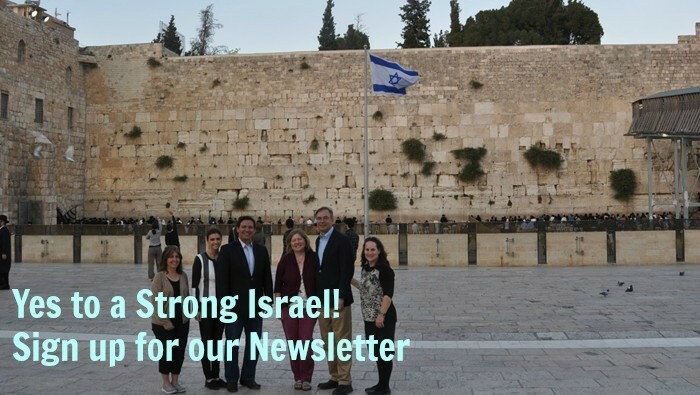 We are grateful for all they do, and take with a grain of salt the recent week-long gathering that provided some, not all, food for thought on issues pertinent for Israel today. See this and other reports on Israeli government ministers trying to fill in what AIPAC has left out. Tariffs on aluminum are at the fore of American media headlines today. Your economic debate rages, and has a vital effect on the international arena. Here in Israel, we’re focused on global military threats, and have watched Prime Minister Netanyahu return to the Iran-is-dangerous mantra in numerous meetings in Washington this week. We urge you to take a side bar from important questions of economics and fiscal policy, to raise your voices on behalf of what you’ve heard from us and others – Responsible foreign policy and a strong, historic friendship mean that the US should not dictate to Israel what is best for us. Allow Israel to make its own decisions, and support those choices, working together to strengthen our moral and security decisions. AIPAC and others do important work in presenting the issues and trying to educate the public. But do not mistake this for the true voice of the Israeli people. Choose to go straight to the source, use introductions that we have made for you, ask questions, debate the complexities of an Israeli democracy (i.e. Our own police detaining visitors on Temple Mount from ‘changing the status quo’ and taking an olive leaf! ), but know this: Israel, and only Israel, is responsible for the welfare of our people – and only Israel will protect its citizens and decide what’s good for ourselves. We would expect no less. The dire humanitarian situation in the Gaza Strip stems from the internal Palestinian crisis, therefore Israel is not responsible for it, Tzipi Hotovely tells diplomats stationed in Israel • “The two-state solution is no longer relevant,” she adds. The new route will significantly cut the travel time between Israel and India, while highlighting growing ties between Israel and Saudi Arabia.